The sweat, dust, and allergens lurking in your mattress are enough to give anyone nightmares—but don't lose sleep over it yet! Follow these five steps for a seasonal cleaning that will help you get a good night's rest. 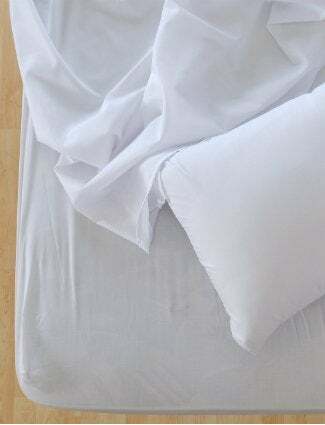 Wash and dry your sheets and pillowcases once a week—that’s all it takes to sleep in clean comfort, right? Wrong. You’re forgetting the mattress! Plenty of hair, sweat, dead skin, dandruff, dust, dirt and even food particles can accumulate in the mattress’s crevices. For allergy sufferers in particular, a mattress in grubby condition can make for unpleasant nights. Rest easy again by giving your mattress a proper cleaning at least once per season. Here’s how to go about it. Remove all bedding so that the mattress sits alone on the box spring or bed frame, then vacuum the mattress all over, using the appliance attachments to help you do a thorough job. Pay close attention to the crevice around the seam that runs along the mattress’s perimeter. Here, you’re likely to find the greatest amount of gross buildup. For the record, any vacuum can probably do the trick, but experts do recommend HEPA-rated cleaners, as they can draw out even the tiniest particles. Now’s the moment to spot-clean any stains you encounter. • For stains left behind by vegetable oils, grease, food spills, and chocolate, use a paste made from baking soda, salt, and water. Cover the stain with the mixture, then let it set for half an hour. Next, brush away the dried paste and wipe down the area with cool water. Finally, dry the moist spot with either a hair dryer or a fan. • Hydrogen peroxide works well to remove stains created by crayons, beverages, blood, or urine. Dilute the chemical by mixing it with an equal quantity of water, then dab the stained area with the solution. Next, brush the area gently with a soft-bristled toothbrush. Let it dry for five minutes, then dab again with the solution. Sprinkle baking soda on the mattress to deodorize any lingering smells. Let it sit for an hour or so, then vacuum up the powder. Does your mattress need to be flipped? Many today (e.g., pillow-top models) are designed to to be one-sided. If yours is two-sided and you haven’t recently flipped it, do so now. 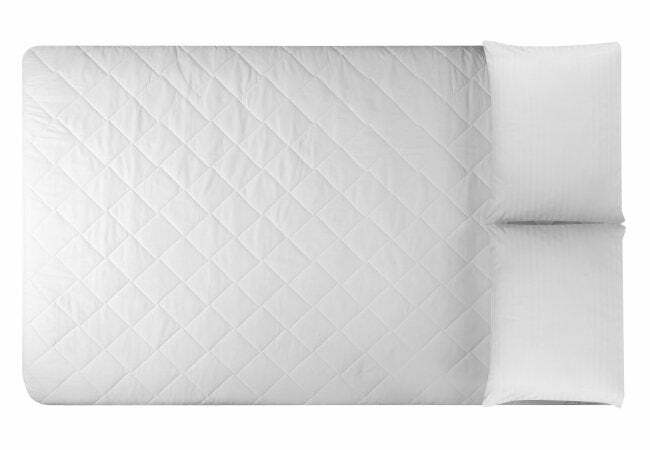 Besides helping your mattress wear more evenly, flipping prevents too much dirt from building up on any one side. Once you’ve flipped the mattress, repeat Step 3, sprinkling baking soda on the side that’s now on top. If the weather is warm and sunny, give the mattress a sunbath: Take it outside in order to capitalize on the sun’s natural germicidal effects. But don’t just set the mattress on the porch; prop it up on a pair of clothing racks or by any more expedient means, being sure that your chosen supports are clean. Before replacing the mattress pad, sheets, and bedcovers, wait for the mattress to cool down a bit. Never air-out the mattress on a humid day, as the moisture could later lead to the growth of mold.